This is a story that will warm your hearts. It's a true story about a young man who had a vision...a dream. A man I am so very proud to know. 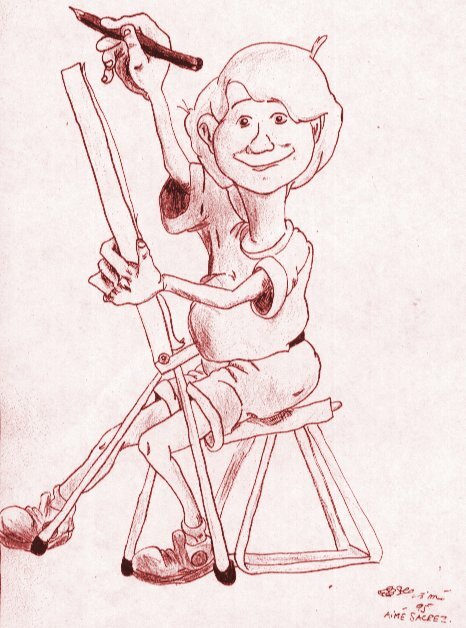 His name is Aime and from a very young age, he was determined to be an artist. He wanted to study at one of the best art schools in the world. How's that for a goal? He told me this when he was 12 years old - at age 16, he had saved thousands of dollars and he left Australia to study in Florence, Italy. When I first met Aime, he was just 12 years old. 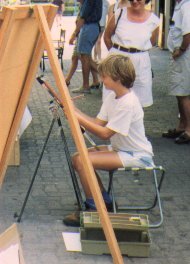 He was sitting in the middle of the Townsville Mall in front of an easel, drawing caricatures of tourists for just $2 each. My mum said "Go on, have your caricature drawn, it will be fun!". I did and it was. I spoke to Aime and his mother that day and that was when I heard him talk about his dream.....he wanted above all....the chance to study in one of the best art schools in the world (Florence Italy to be exact). And he was determined to save his money to make his dream come true. I was very impressed with his attitude. Most boys his age were home playing video games or out with their mates. Not Aime....here he was sitting in the middle of a public place...with people looking over his shoulder, drawing and refining his skills. He told me not so long ago that he used to be so scared about it all, but he was glad his mum insisted he did so. It made all the difference to his later work. He learned early, that an artist must be oblivious to anything else around him. I paid my $2 (and I still have the original picture he drew of me), but that day, I received something priceless from him. I saw determination and faith as I had never witnessed it before. When I first met Aime, I was on holidays in Townsville and living in Adelaide. Two years later I moved to Townsville myself (to be closer to my Mum) and three years later, I started writing a little book of Poetry called "There's Green Frog Poo in my Sneaker again!". I believe there is no such thing as a coincidence. I believe this ol' universe of ours brings people into our lives just when we need them. Aime and I were destined to meet again! I had just finished writing my little book of poetry and I was so eager to get it published. But there was one problem. I needed illustrations, I couldn't draw and I had very little money to pay for them. I started to think about that young boy I met in the mall a few years ago. I wondered if he was still in Townsville and whether he still practiced his art. "Aime follows his dream to Italy"
I made contact with Aime and when I told him about my poetry and book over the phone, he was laughing about it and we met and organised for him to illustrate my first little book. That was 1998. 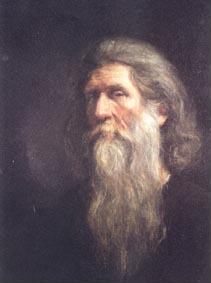 From January 1999 to July, he studied classical realism at the CHARLES H CECIL STUDIOS then continued his art studies at the FLORENCE ACADEMY OF ART until July 2001. Aime also worked as a portrait painter in England from 1999 to 2001. His paintings hang in private collections in England and Scotland. Aime has been living in Australia since January 2002. He is currently preparing and exhibition of Australian realism to be held in London. Aime was born in Adelaide South Australia in 1981. WHAT AMAZING ACHEIVEMENTS FOR ONE WHO IS ONLY NOW 22 YEARS OLD! Besides Aime's Mum and Dad, I am his greatest fan and consider it both an extreme honour and a privilege to be able to work with him.